China's second moon probe will launch this year and will flyfaster and reach lunar orbit sooner than its predecessor, Chang'e-1, accordingto the country's state-run media. The new probe, Chang'e-2, is set to launch in late 2010, China'sXinhua news agency reported. It is the second step in China's three-phaseChang'e moonexploration program, named after China's mythical Moon Goddess. Chang'e-3is slated to land on the moon in 2013. "It is estimated Chang'e-2 can reach lunar orbit withinfive days, compared to 13 days, 14 hours and 19 minutes for Chang'e-1,"Ouyang Ziyuan, chief scientist at the China Lunar Exploration Project, toldXinhua. Chang'e-1 launched in October 2007 and ended a 16-month moonobservation mission in March 2009 when it crashlanded on the lunar surface. "China has not been to moon before the country launchedChang'e-1, so we were very prudent at that time and adjusted its orbit in avery slow manner. 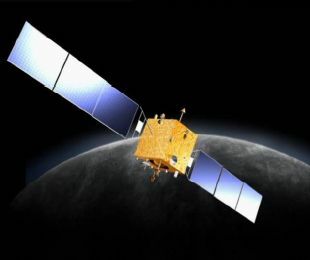 It flew a journey of 2.06 million km before reaching lunarorbit," Ouyang said. "But it's different now. We are more sure aboutthe launch." This second probe will also orbit the moon 60 miles (100 km)closer and carry a higher resolution camera, he told Xinhua. Around 2017, China is planning to return a moon rock sampleto Earth. China's moon program is just one prong of the nation's burgeoningspace program, which has so far seen three successful manned spaceflights,including the nation's firstspacewalk on the most recent mission, the Shenzhou7 flight of 2008. China is also planning to build a manned space station. Thefirst module, Tiangong 1, is currently slated to be launchedunmanned in early 2011. At least two more modules are also under construction,and the space station is expected to be completed around 2022. After Russia and the United States, China is the thirdcountry to independently launch humans to space. The nation's first manned mission,Shenzhou5, launched in 2003.